Do you need some cute Valentine Day Color Pages? Well you are in luck because I have some adorable “bee mine” color pages with Valentine's Day! Kids love coloring and the bright colors for Valentine's Day make pretty creations. I think bumble bees are kind of a traditional Valentine's Day theme…the whole bee mine phrase is popular. 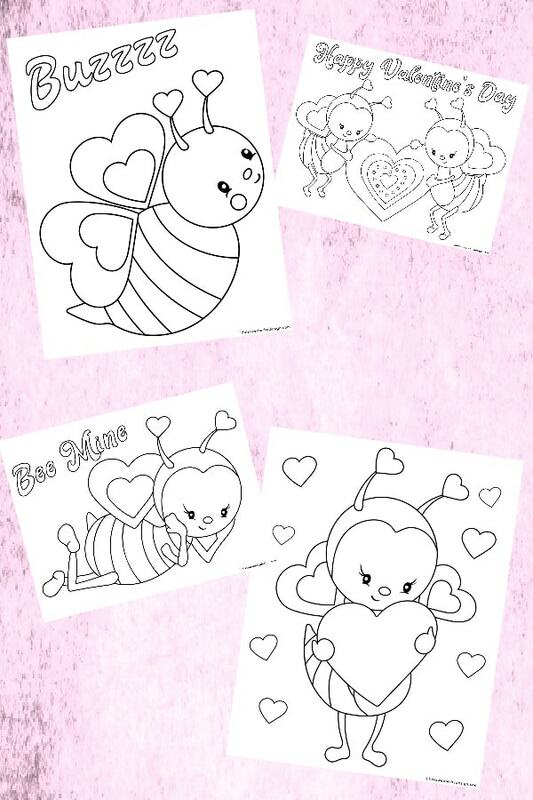 These sweet free printable Valentine Day coloring pages will look great on the refrigerator or the artwork holder. I love themed holiday parties and a Bee Mine Valentine's Day party is just perfect. 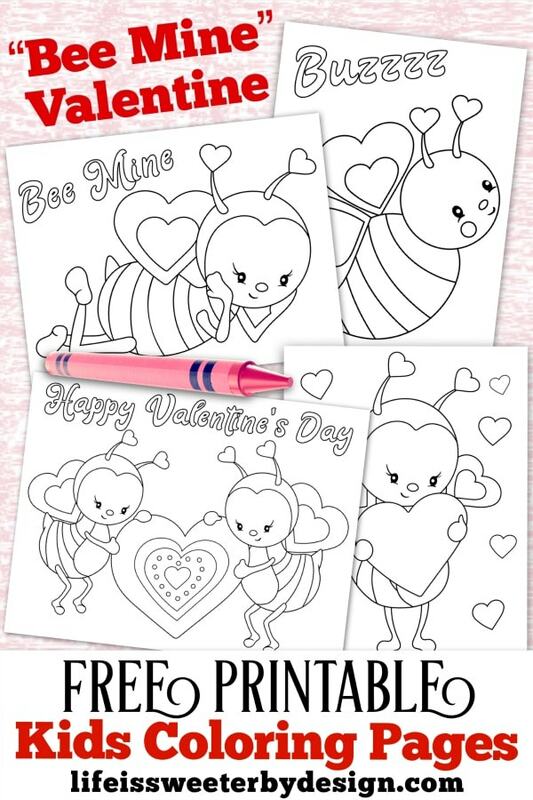 These Valentine Day Color Pages are a great addition to a bee themed party in February. Every party needs some balloons and these Bee Mine foil balloons are just too cute. If you need party favors…look no further! These Mini Bee Mine Bees are so sweet and kids of all ages will love this party gift. Bumblebee stampers are also a fun gift for the party goers. Cupcakes will be complete with these cutsie Bee Mine rings . Every kid loves getting a ring off a cupcake!! Another simple snack idea is to add these Bee My Valentine Hershey Kiss party favor sticks to the bottom of the kisses. You can download these Valentine Day Color Pages by clicking the image below or clicking HERE. These are for your personal use only. Please feel free to share this page with your friends and they can download and print some off too! I always print several copies off because my daughter likes to make the bees lots of different colors, lol. Check out some more free printable color pages! Be sure to SHARE these Valentine Day Color Pages with your friends!